Digital Signage uses commercial grade LCD and LED screen technology to dynamically display advertising, internal communication and everything in between. Advertising Displays, Touch Screens, Freestanding Digital Posters and Outdoor Digital Signage can be used in a wide variety of public environments. 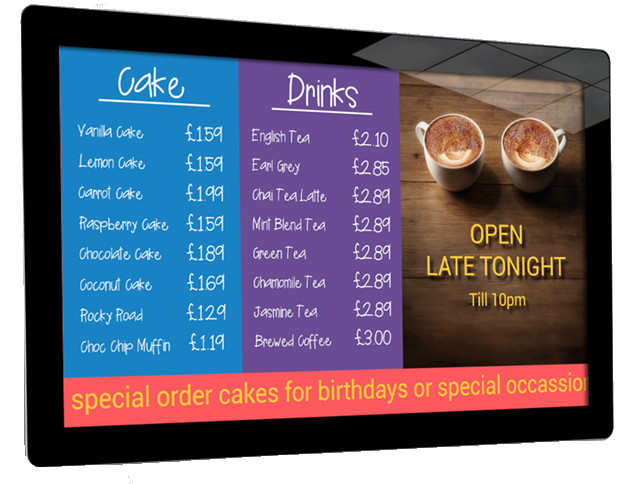 These include retail settings, restaurants (as Digital Menu Boards), hotels, schools, hospitals, corporate environments, the possibilities are endless.